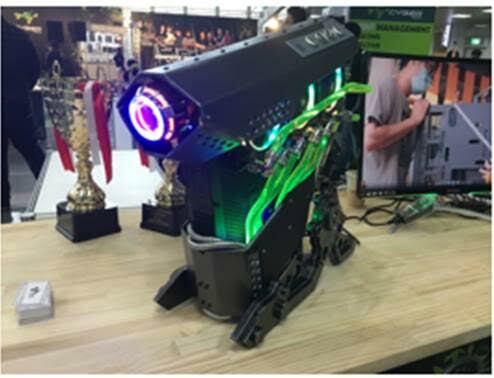 Thermaltake, the leading PC DIY brand and the number one choice for PC modders worldwide, is thrilled to announce the successful partnership with CyberMedia during the CyberMods 24hrs, the most exciting and monumental modding competition held during COMPUTEX 2017. During the event, Thermaltake was a premium sponsor of high-end PC DIY hardware including Core P3 Open-Frame ATX Wall-Mount Chassis, Toughpower Grand RGB 850W Gold Fully Modular Power Supply and liquid cooling components. The contestants were required to craft a special build themed around Sci-Fi, video games or movies all in a total of 24hrs by using the above mentioned products. The CyberMods 24hrs modding event concluded to much successful. The list of winners of the event is also announced. Team Thailand won the first place, followed by Team Philippines and Team UK. 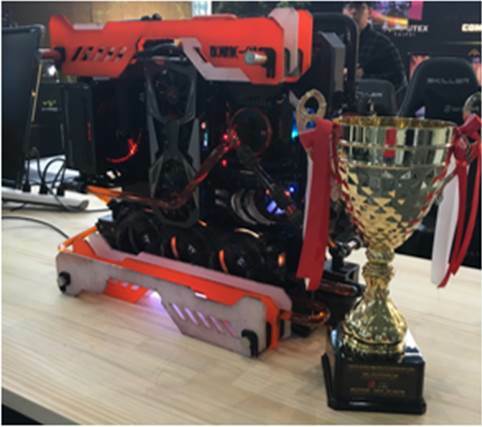 Thermaltake would like to congratulate the top three winners and thank all the modders who participated in the event. Everyone did a fantastic job! The Core P3 is built from the ground up to make even the most advanced PC customization and modification effortless and hassle free, making it a dream to build with. The open frame design is protected with a clear acrylic panel – behind which sits the chassis frame, with supports the latest PC hardware, AIO and DIY liquid cooling solutions. Specially designed dual GPU and PSU layouts, plus a 3-way stand placement (wall mountable, horizontal laying and vertical standing) allow users to position the chassis any orientation – and appreciate their artwork build. The fully modular Toughpower Grand RGB 850W Gold comes with a patented 256-color Riing 14 RGB fan that has 5 lighting modes to choose from and built-in memory. 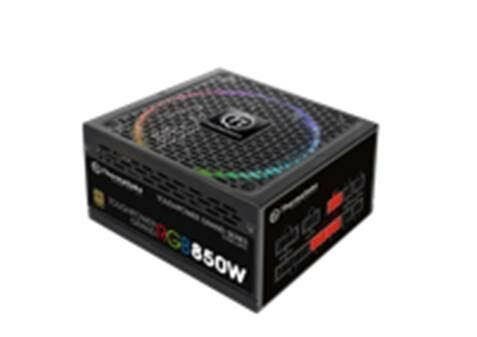 Additionally, the Toughpower Grand RGB 850W Gold features 80 PLUS Gold certification, and adopts high quality components that guarantee it can always accommodate any mainstream build under any circumstance. Thermaltake liquid cooling solution has always adhered to Thermaltake’s core mission to bring the perfect user experience by providing a wide range of high-end products, including reservoirs, pumps, radiators, water blocks, fittings, tubing, coolants, LCS kits, and All-In-One liquid coolers, for every PC enthusiast. 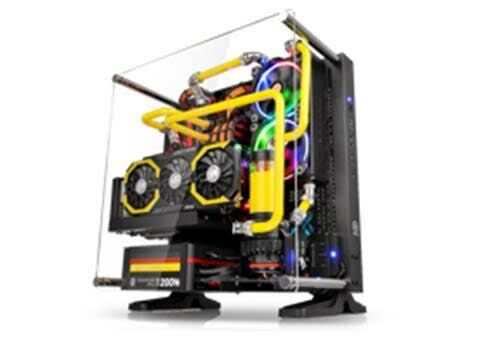 All the components are manufactured with Thermaltake’s highest quality standards that not only guarantee exceptional performance, unrivalled reliability, but also deliver styling for enthusiasts to build up aesthetically-superior water-cooled systems. 1st Place Team Thailand: Chaipoj Khaowasut and Peerakij Rungthongkhamkul are the top excellent modders from Thailand. Chaipoj is also participating in the 2017 Thermaltake CaseMOD Invitational Season 1. Their marvelous creation “Horizon Zero Dawn” is a video gaming themed Core P3 mod. The liquid cooling components they used for the project are included the Pacific R360 Radiator, Pacific R15 Reservoir, Pacific P1 Black D5 Pump, Pacific W2 CPU Water Block, TT Premium Concentrate Series and Riing Plus 12 RGB Radiator Fan. 2nd Place Team Philippines: Don Jeric Madrid and Michael John Lanaza Lacerna are full-time modders from Philippines. 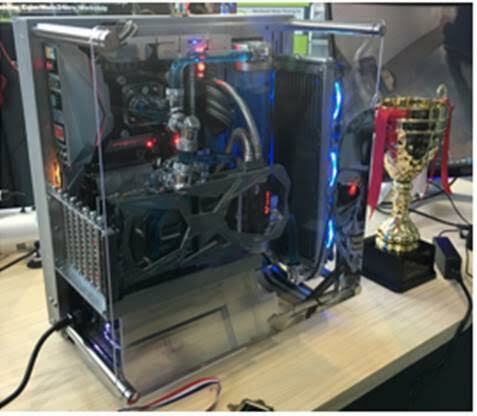 They demonstrated their awesome modding skill, and chose the latest liquid cooling products from Thermaltake to build a stunning watercooled Sci-fi Core P3 mod. 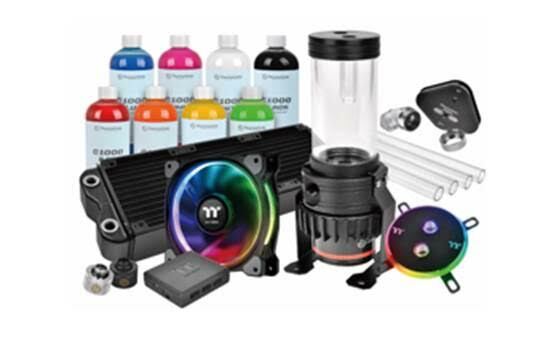 The highlight products are included the Pacific R240 Radiator, Pacific R22 Reservoir, Pacific P1 Black D5 Pump, Pacific W4 RGB CPU Water Block, TT Premium Concentrate Series and Riing Plus 12 RGB Radiator Fan. 3rd Place Team UK: Alexander Banks and Robert Deluce are well-known modders from the UK. Alexander is also representing his country to participate in the 2017 Thermaltake CaseMOD Invitational Season 1.They combined their professional modding technique with sophistic painting skill to create a breathtaking Terminator Core P3 mod. The liquid cooling components they used are included Pacific RL360 Radiator, Pacific R22 Reservoir, Pacific P1 Black D5 Pump, Pacific W3 CPU Water Block, TT Premium Concentrate Series and Riing Plus 12 RGB Radiator Fan.